If it's not dolphins or turtles, then it is SCUBA divers. And we saw lots and lots of SCUBA divers this morning. Which kept us entertained, since we didn't see much of anything else. But we did get some great exercise in beautiful conditions, so there's that. 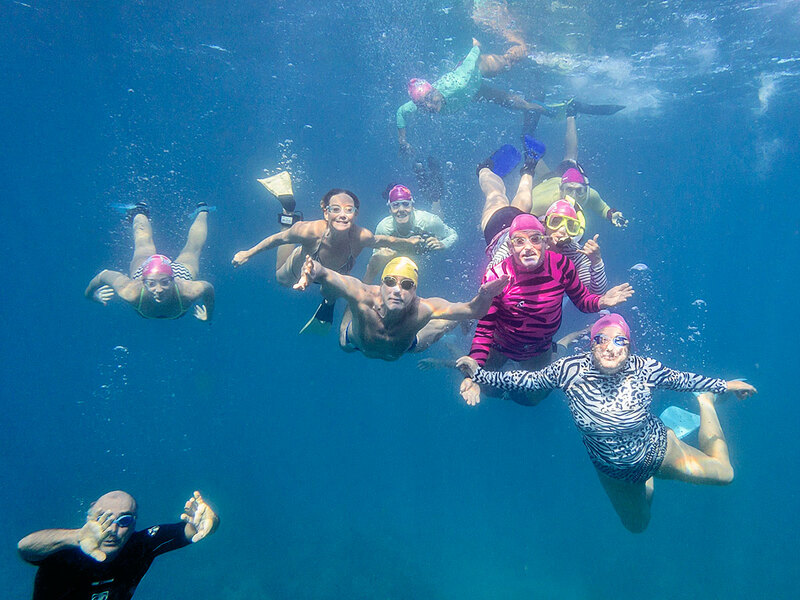 Click HERE for more photos from this morning's ocean swim with the Maui Pink Cap Swimmers.